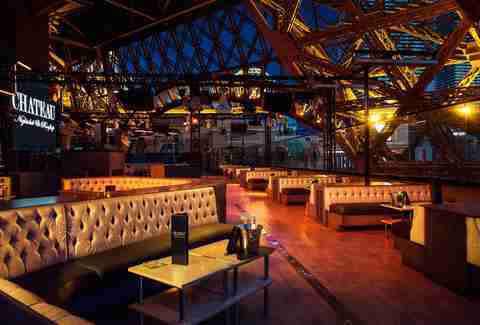 When The Cromwell opened up in the spring, someone got the idea to turn the entire roof into a nightclub. 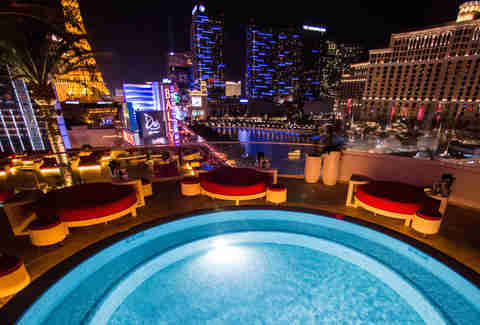 The result is an open-air party zone that's 11 floors above the Vegas Strip. You can hang outside by the pool or inside by the DJ... but you should probably hang outside by the pool since that's where the girls in bikinis are. 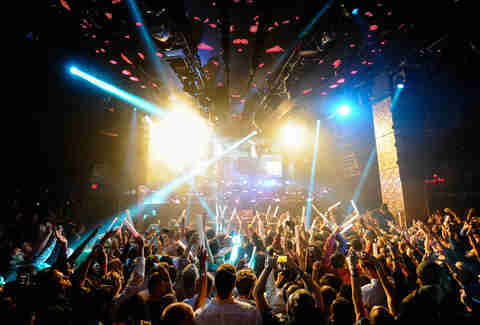 XS has a crowded dance floor shoved in front of some of the most well-known DJs in the world, including Avicii, Zedd, and Skrillex, but the real draw is the sprawling outdoor pool area where you can enjoy bottle service under the stars and even a dip in the water during the weekly Sunday Night Swim. Hope you like stairs. 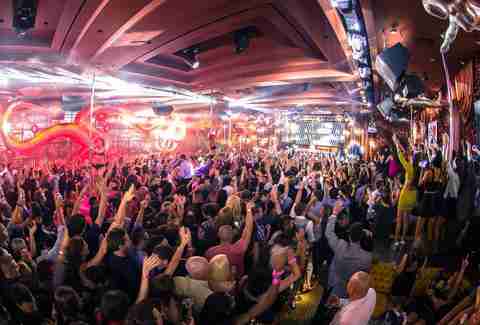 Still drawing huge lines in its second year of operation, Hakkasan is a massive five-story spot notorious for its well-paid DJ roster that includes Tiesto, Calvin Harris, and Steve Aoki. But the night isn’t complete without a stop at the adjacent Hakkasan Restaurant beforehand, which might have the best Cantonese menu outside of Chinatown. The space management could be better -- the dance floor is tiny compared to the area reserved for VIP booths -- but the up-close view of the Bellagio fountains is worth whatever you paid to get inside, whether or not you get a little splash from the famous water show. 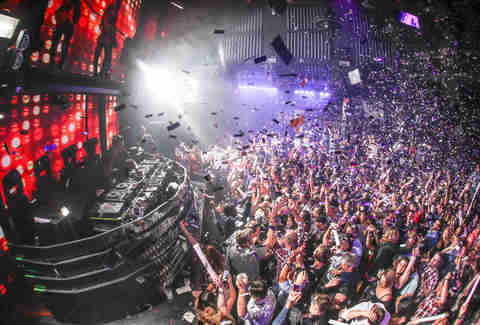 There’s no big stage show or music residency to draw the crowds at the new SLS Las Vegas, but the people are still lining up to spend their entertainment dollar at LiFE -- where every VIP table is a good one thanks to the sweet stadium-style seating that surrounds the dance floor. While not quite as notorious as its Los Angeles counterpart of the same name, 1 OAK continues to chug along (despite getting a little long in the tooth) and benefits from being just around the corner from an amazing lineup of restaurants -- including Tom Colicchio’s Heritage Steak, Japonais, Portofino, and the brand-new Pantry -- all on the main floor of the casino. The Cosmo’s nightlife destination offers a lot of space and a few different rooms leading out to the pool, and might also be the club that’s best equipped to handle the crowds during the winter months thanks to the Dayclub Dome -- a 50ft-high structure that covers the outdoor area during daylight hours on the weekends. 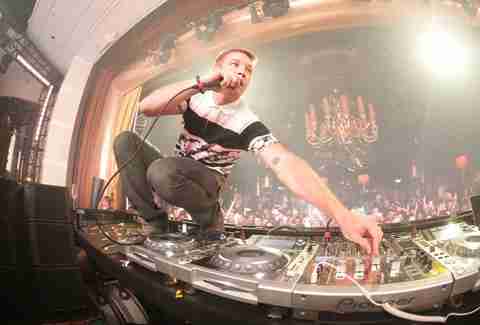 The Bellagio offers a nightclub alternative to Hyde that’s heavy on the hip hop and dangerous to girls in high heels thanks to some steep stairs between levels. The Bank could also be the best place to deposit your money – depending on how much you want to spend on bottle service. 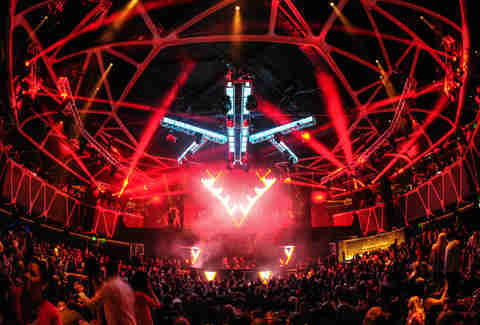 LIGHT opened around the same time as Hakkasan, and while it doesn’t have the same DJ star power, it’s still big on spectacle with a mammoth LED video screen and Cirque du Soleil performers mingling in the crowd and swinging from the ceiling. The bar and dance floor offer few surprises, but the upstairs outdoor patio has the best view of the Strip from a Vegas nightclub (if you’re not at Drai’s). It's the perfect opportunity to pick up girls while overlooking the Bellagio fountains and enjoying specials like $30 all-you-can-drink beer. Along with 1 OAK, TAO is probably the best place to spot a Kardashian. 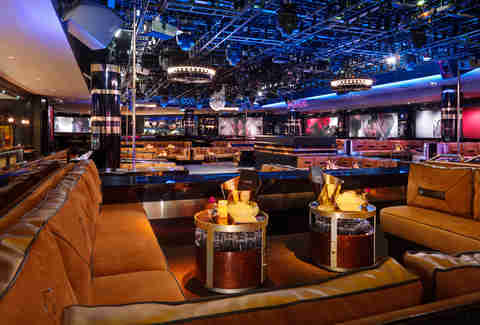 It’s also one of the biggest and busiest nightclubs on the Strip, plus it's just upstairs from a massive dining room that serves sushi, dumplings, and other Asian cuisine. 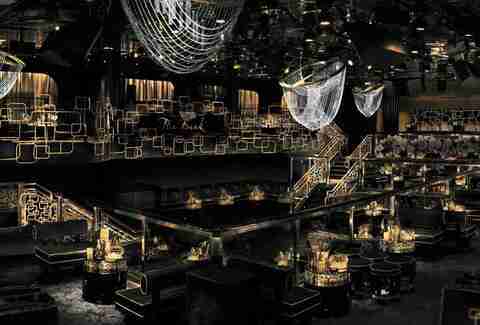 If you like plenty of space, Surrender could be the most satisfying nightclub on the Strip. The wide poolside area offers an escape from the music -- you know, in case you actually want to talk to your date. Otherwise, hit the indoor dance floor to catch regular headliners like Lil Jon and Macklemore & Ryan Lewis. There’s also gambling by the pool… but you've probably already lost most of your money at the bar. It’s similar to XS and Surrender with an indoor dance floor and outdoor pool area, but Tryst has a more subtle and cozy atmosphere. 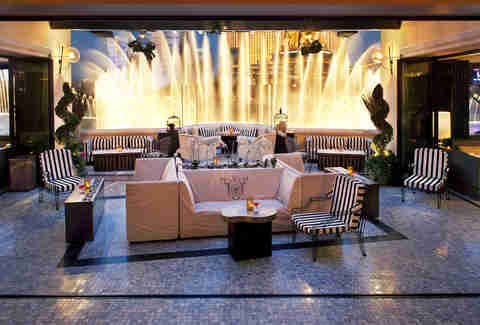 It’s also the only Vegas nightclub to have a waterfall. 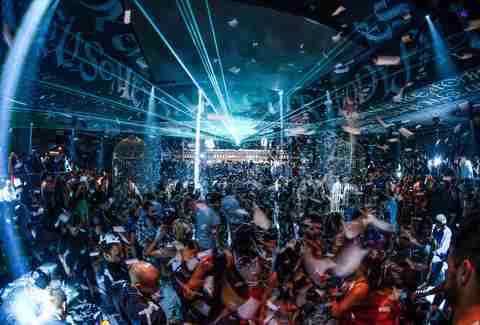 Nightclub #2 at the SLS Las Vegas is a little more intimate than LiFE and offers a dance floor that spills out into the pool area. Foxtail also goes out of its way to offer some Top 40/R&B as an alternative to the thump-thump-thump you'll find everywhere else. 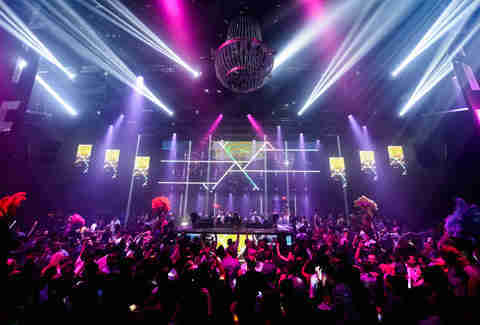 It’s hard to compete with Hakkasan in the same casino, so Beacher’s Madhouse doesn’t even try. 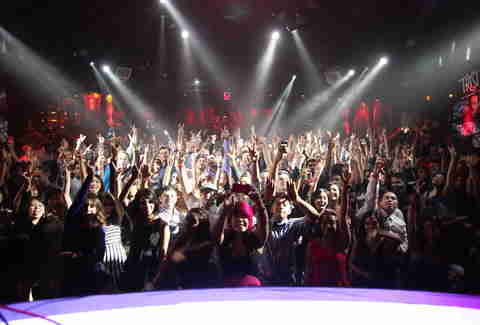 Instead it goes for a more raunchy and rowdy atmosphere that has attracted famous party girls like Miley Cyrus and Katy Perry. It also offers up celebrity impersonators in the crowd, as well as midget tag-team wrestling and other goofball entertainment on the stage.